At Heliworks we know that love is in the air! 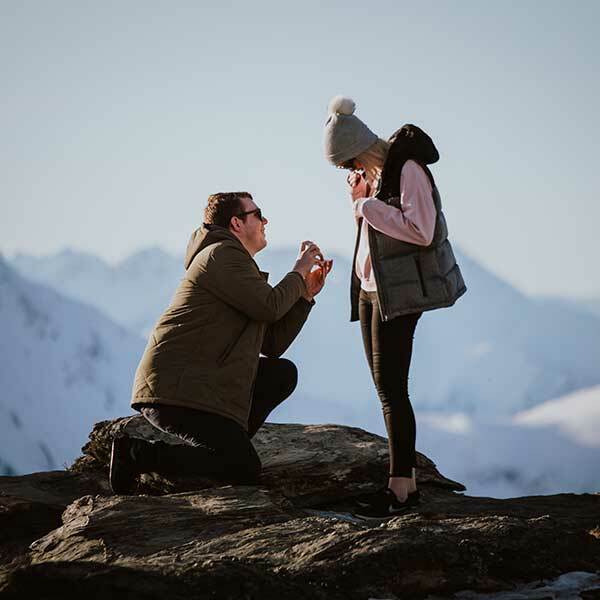 We have been privileged to be a part of hundreds of proposal and wedding celebration flights in the Queenstown and Aoraki/Mt Cook regions. We are known for going the extra mile for our happy couples and ensuring surprise proposals go without a hitch! Heliworks was even part of the first ever wedding ceremony on Mitre Peak, Milford Sound! If you can dream it, we can help make it happen. We work with professional wedding photographers, celebrants and planners to fly wedding parties to unique locations. With exclusive landing rights in some of the most spectacular locations such as the Earnslaw Burn and Mt Nicholas High Country Station there will be a location that matches your moment. Get in touch with us for a full run down on locations and options. We have exclusive landing rights at a number of locations so you can be assured of somewhere spectacular and secluded for your ceremony or photographs. There are many more locations we can take you to, please contact us for more information or if you have somewhere particular in mind! “We had the most perfect experience flying to Coromandel Peak for some wedding photos! My husband and I decided to cancel our big wedding in the US and we bought tickets to NZ to elope. We were referred to Heliworks by our videographers, Shotover wedding videos. They were AMAZING. Craig was our pilot and he was so kind and informative, made us very comfortable and was super patient with us throughout the day. We splurged a bit to do two different locations, Earnslaw Burn and the Remarkables double cone. It was worth the extra money, it was absolutely breathtaking. The ride was so fun and the views were to die for. Our day was so perfect, can’t recommend them enough. 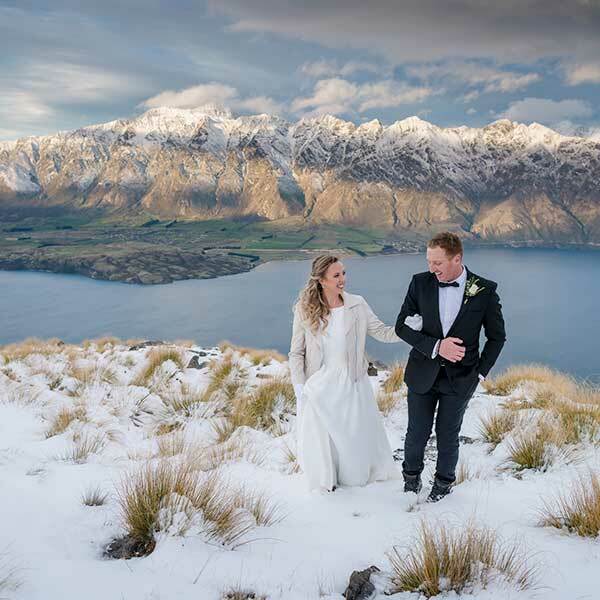 We took a Heliworks flight up to Cecil Peak for our Wedding Photos and the experience was second to none. Thank you Heliworks for making everything so easy, fun and unforgettable!